Please help me address the airtel incompetence. 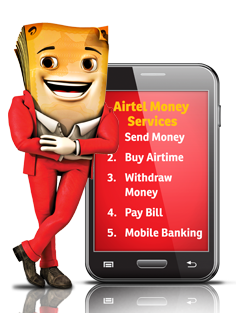 From the bottom of my heart I feel Airtel Mobile Money services are Wack and untrustworthy . I am very disappointed with the way they have been treating me, on 23rd December 2017 my Airtel money account received money. I went to make a withdrawal, to my surprise my trusted Password denied me access and the whole transaction flopped however I was advised to do password reset so I detailed every information about my account, NRC, phone number and all that in spite of several calls I made to the Airtel Call Centre and several assurances I was getting my case wasn’t given has not been given any attention instead they went on blocking my phone number all because I followed my case by calling them . Worse still my case wasn’t resolved. On the 1st of Feb,2018 Imagine all the way from Western Province I travelled to lsk Airtel Centre at Cairo Mall I was told to re do everything all over again and I was given a new Complaint case C20184278 the gentleman named Emmanuel is the one who attended he assured me it will be done and dusted within 24 hours like always nothing was resolved. The day that followed I was at Airtel doors once more this time around I was attended by a very defensive annoying lady by the name of Mulenga she talked to me with that useless attitude as if I don’t have any rights to my money she bullied me with another Complaint number C20202339 with the same rehearsed 24hrs rules of theirs. Honestly they don’t impress me!